As the industry’s No. 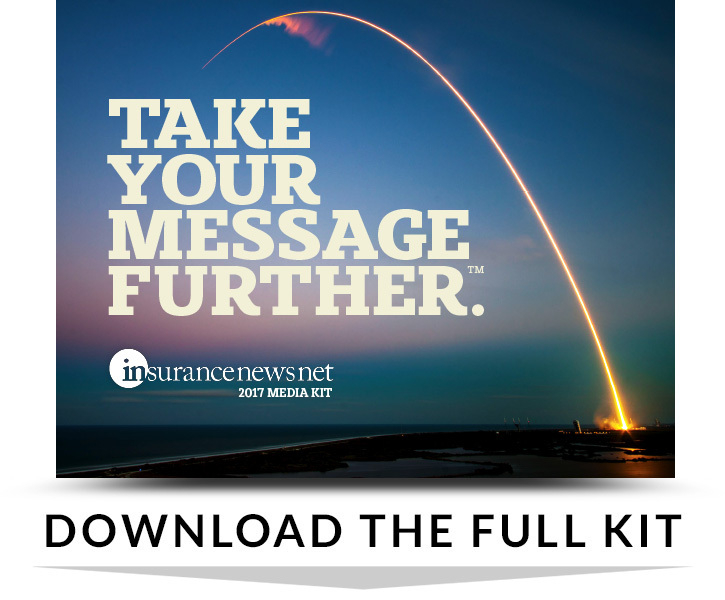 1 media source, InsuranceNewsNet exists to inform, engage and inspire insurance and financial professionals through award-winning and thought-provoking editorial and design. Simply put, everything we do is focused on helping advisors run their practice and increase their bottom line. InsuranceNewsNet Magazine has won 54 editorial and design awards in the last 5 years alone, more than any other insurance publication. We’re more than a media outlet; we’re a strategic marketing partner who understands how to engage our audience. We don’t simply place ads – we focus on results. From our knowledgeable account managers, who will recommend an effective media plan, to our team of strategy, design and direct marketing experts, who will work with you to hone the most powerful message – InsuranceNewsNet is the best source to effectively reach your ultimate target audience and your goals. Let us show you how we strategically engage our audience to achieve results and a greater ROI. The industry's most visited website to gain market share with our engaged audience! » Plus, full access on the web, tablet and smartphone! With thousands of news sources and hundreds of original articles added monthly, InsuranceNewsNet is on the forefront of communicating breaking news and original insights to the industry. Leverage the industry’s most visited websites and gain market share with our engaged audience! The source more than 392,000 financial and insurance professionals rely on for breaking news and insights that directly impact them. Use these powerful platforms to promote your organization to an engaged audience. We've spent years developing our list of top producers through InsuranceNewsNet.com and work hard at keeping them engaged and responsive. With a full team of direct response experts at your disposal, we can help you speak to your target producer with messaging and design that drives action.
. Thanks, I look forward to speaking with you!